We are ready to assist you in any way we can, take a moment to let us know what we can assist you with. Learn more about the professional property management services that we have to offer to you as a rental property owner by filling out the attached form. If you are interested in purchasing a home and would like to enlist our expertise fill out the attached form and we will assist you from getting qualified to getting to the closing table. If you would like to learn more about the premier sale services we have to offer to you as a property owner fill out the following form and we will put together a customized marketing plan just for you. I have been a working with Richard and John Micheal for several years now and I can honestly say that they serve their client with the utmost professionalism. They don’t upsale but they work for the buyer by showing homes that meet their needs and negotiate the terms of each property contract in a way that benefits their clients and not themselves. I couldn’t recommend a better team if you are looking to buy, sell or rent. The team at Elliott & Eijo are amazing. I went from a management company that was not responsive, lost track of my rent, and did not take care of my tenant to a company who 100% made sure the property, the tenant and I were all taken care of. Love their communication and attention to detail. I would recommend them to anyone needing a trustworthy management company or agent. 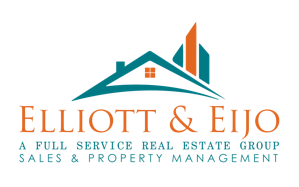 Elliott and Eijo is a professional property management company whose administrator took a big problem off my hands when the company took over from a another property mgmt co. They took on a mess from the last company. We were not getting our payments on time and were not keeping me up-to date with rents or issues. I am now so happy to be with E and E as they respond to my requests or questions, take care of all the previous problems and are always ahead of the problem before it arises. This is the BEST management I have ever worked with. I am Speaking from experience as I own 10 houses in different parts of the US for over 10 years. We love working with this company, they make the process seamless from sending in work orders to processing payments. This is how B2B Relationships should work. Very honest and reliable people. I found them friendly and easy to work with. I was impressed with their implementation and use of modern electronic communications. The only reason I ever had to go into the office was to pickup the garage door remote. I moved in about 6 months ago using Elliott & Eijo’s property management office. I just wanted to complement them on their professionalism, and how easy they made the move. This has been the best experience I’ve had when using a property management office. I was having problems using my tenant portal, and when I reached out to Barbara even on a weekend day she was there to help me. I wouldn’t have been able to pay my rent on time without her. Thank you for being there for your tenants and being so professional! Definitely would recommend this company when trying to find your new rental home. A first class company complete with personal touches! John-Michael, Richard and their staff are fantastic with every tiny detail. They go above and beyond making clients feel great about the choice to use them. I am beyond satisfied with this property management company. The first week i rented my new build I had a leak caused by the new dishwasher that damaged my cabinet. They immediately addressed the issue and had the responsible company fix both the damaged cabinet and the leak. I then had a tenant break the lease and they got a new family in there without missing a beat. I feel i am in good hands. Kudos specifically to Barbara Elliot who is always so prompt and professional!! Many thanks!!! The property Elliott and Eijo sold for me was a rental property in Lake Wales; my home is in California. After talking with Richard via telephone I immediately felt comfortable that this company would go to bat for me and have my back. This proved to be true in their experience, character and honesty. As a Pastor, these qualities were important to me. I highly recommend Elliott and Eijo Real Estate Group to any prospective buyer or seller. I have had my property managed by Richard for almost 5 years. They came highlighly recommended by a friend. My house has never been vacant and rent has never been late. I have had 2 tenants and both have taken care of my house. I was super hesitant to rent out my house but it has been a really great experience. Richard has been very helpful in making various decisions about my house (rent levels, changes to my home, etc). The team is super responsive and take care of any concerns for either me or my tenants. If Richard is not available, I always can reach out to Barbara for help. She is Richard's go to person. They have also connected us with vendors/contractors to do work around our primary residence which has been incredibly helpful. We just rented out our second house with them. They make the process super easy and worth every penny. My wife and I just closed on our first house about a week ago. We felt so lucky to have Richard Eijo as our realtor who exceeded our expectations for what a realtor could be. He did not pressure us at all throughout the whole process and was a tremendous resource to ensure we got the house we wanted. I would highly recommend Richard Eijo of Elliot and Eijo Real Estate Group to anyone looking to buy or sell a home. I have in fact already recommended his services to family and friends. I recently became a landlord, and I was hesitant at first because people I knew has had bad experiences with property management before. Considering that it was our first home (with all of its sweet memories) that was to become a rental unit, we were scared of the negative possibilities. Would the tenant trash our house? Will they renegade on their payments? Few months into the rental, we can't be happier that we partnered with John-Michael and Richard. They truly have the best intentions of the landlords (and the tenants) in mind. They are professional, and they make sure to find the right tenants, so to minimize headaches in the future. They are also landlords themselves, so they can both empathize and sympathize with their clients. Whoever goes with them will not be disappointed. John and Richard (and their office administrator, Barb) of Elliott & Eijo Real Estate Group manage two properties for us. One property, is located in Winter Park, Florida, and I serve as power of attorney for my mother, who is in an assisted living. Because we depend on the income from this property to assist in my mother's care-there are different issues and considerations in managing it than there are on our Lakeland rental property. These guys have been excellent in working with us and making sure everything is taken care of. We would certainly recommend them. I used Richard's services the first time back in 2007. He helped my kids and I find the perfect house in the perfect location. He was always available and made the process very easy. He was the easy choice when I remarried and bought a new house in 2016. He listened to what we were looking for and helped us find an amazing home and property. The house we purchased was only on the market a few days and had more than one offer on it. We smile on a regular basis sitting on the front porch of our log cabin overlooking the park like setting. It was nice to meet John during this purchase. These two guys are always available and put you first. I will always use their services with all of my home/investment needs. Richard, thanks for working so hard and getting us our dream home!! I love these guys! I worked with them on the title company side and I know how they operate. They rented my house in Lakeland and I never had to worry about a thing. Which was great since I moved a couple hours away from the area. Would highly recommend them for property management or real estate needs. I have had Elliot & Eljo Real Eatate for almost 3 years now. They are great!!!! They are on top of things and had my property rented at one point and time, where one rentor was moving out and had another rentor ready to move in. Very happy with them, and very affordable. Thank you Elliot and Eljo. I have been very pleased with this company. We have been utilizing them for our rental property for over three years now. They are quick to respond to problems and I trust them to make the right decisions and to give us good advice considering we are new at renting out our property. 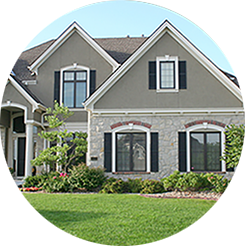 If you are looking for someone to manage your property, you should definitely call them. They were highly recommended to me by a neighbor and they found a renter for me within a couple of weeks and everything has been great and running smoothly. I have since recommended them to others. If I get another rental unit, they will continue to be my go-to managers. These Guys are awesome, I have 27 rental units which they kept absolutely full! In the last three years, I Had one vacancy , and they had it rented before the old tenant moved out! Vacant for "2 days" so in just the last three years alone, I've basically had no vacancies! Seven of the buidings are duplexes (14 units) which are harder to keep full, but they did it. I would highly recommend these guys! They got me great tenants! Five (5x) of my homes have been rented by the same people for 5 years! Awesome ! I told Richard and John if anyone has any doubts to call me! John and Richard have been first class from the time we spoke about doing business together. They not only did property management for me but they also sold me a property that I was renting from them which made it very convenient. I would highly recommend Elliott & Eijo! John and Rich have been life savers in managing my property after I moved. I have worked with other property management companies, but they are truly the best! They are professional, knowledgeable, and very efficient in all they do. It's a great peace of mind! I highly recommend them. John and Richard are both great guys and were a delight to work with. They were patient with us and helped us find our last house two years ago and we love it! In the future whenever we're ready to buy again, they will certainly be the people we go to. Anytime a friend or family member mentions looking for a house or trying to sell theirs, I automatically tell them about John and Richard. They will take great care you! We've been clients for 2 years and are very please with Richard and Johns professionalism. Expenses are managed like it's ther money, records are provided monthly along with a yearly summarry making tax reporting a breeze. Would highly recommend them for your real estate management company. Rich and John are true professionals. I referred them some clients for property management and they took great care of them. I will continue to refer them all my rentals fro property management service in his area. Thanks! Fill out the form below to be contacted by the Elliott & Eijo Real Estate Group Property Management Team. Our property management team will contact you within 1 business day to answer any questions you have regarding our professional property management services. Thank you for your inquiry, we will contact you within 1 business day. Contact the Elliott & Eijo Real Estate Group Sales Team Today! Please take a moment to provide us your contact information and property address and we will contact you to design a personalized marketing plan to sell your home. Your request has been submitted! We will contact you within 1 business day. Please take a moment to provide us your contact information and one of our buyer's agents will contact you to assist you in the purchase of your next home.